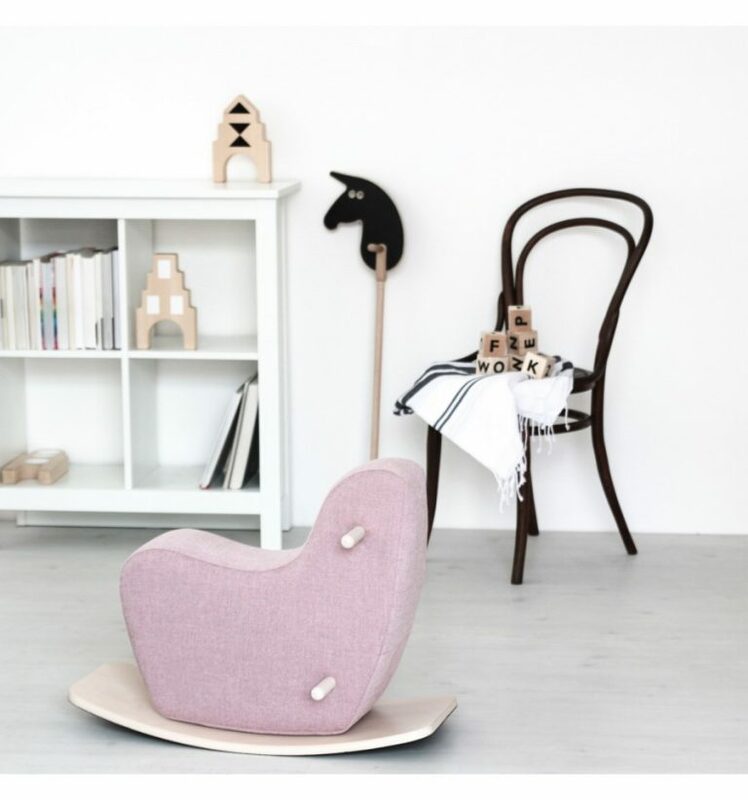 The gorgeous, minimal and modern toddler rocking horse is perfect for children aged one to five. 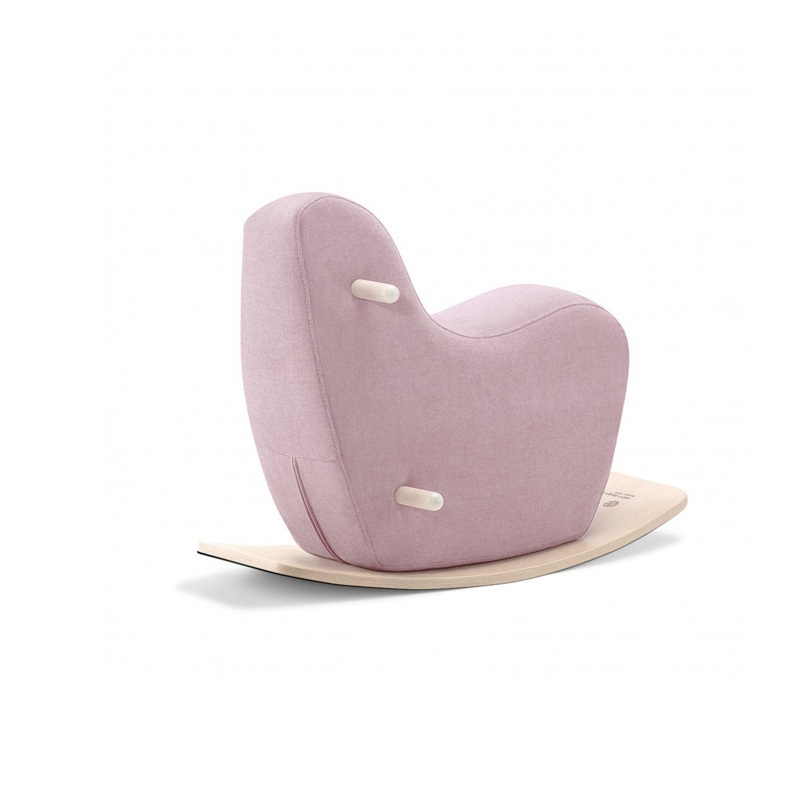 It features smooth edges and ultra-soft, pale pink fabric that’ll feel like a hug to your child. The Ooh Noo Googy Rocking Horse is also available in grey. The Ooh Noo Googy Rocking Horse is a bulky item that ships directly from the supplier. 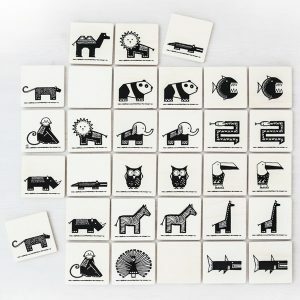 Please allow up to 21 business days from the date of your order for this wonderful product to arrive. Rock-a-bye baby. It’s time for all little dolls to go to sleep now. 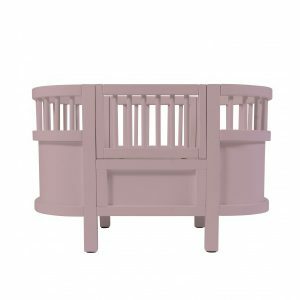 Your child can help them get off to dreamland by gently rocking them in the Smallstuff Rosaline Cradle. This gorgeous rocking cradle is perfect for your child’s favourite dolls and soft toys. 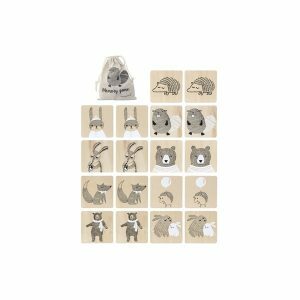 Measuring approximately 43cm x 29cm x 28.5cm, it’s the ideal size for small and medium toys. Lovingly handmade with solid wood, the cradle is both beautiful and durable. It features a chic Scandinavian design, which is based on the iconic Danish child’s bed, and a charming white colour. As such, it makes both a lovely toy and a wonderful decorative feature in any child’s bedroom. 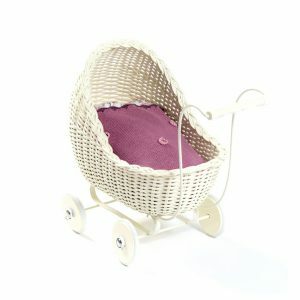 So little dolls will have a comfortable place to rest, the Smallstuff Rosaline Cradle includes a cosy mattress. Linen is sold separately. 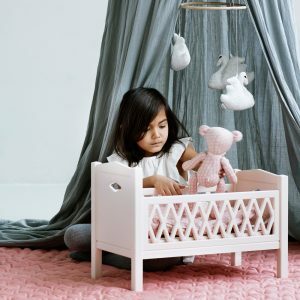 You'll find a gorgeous selection of doll's bed linen from Pip and Sox, such this doll cot bedding from Cam Cam Copenhagen. Please note that this cradle is a bulky item and additional shipping charges may apply. Your home will be filled with the pitter patter of little feet running around when your toddler discovers the Bloomingville Pull Along Turtles. This gorgeous family of turtles on wheels promises to make practicing to walk a whole lot of fun for your little one. 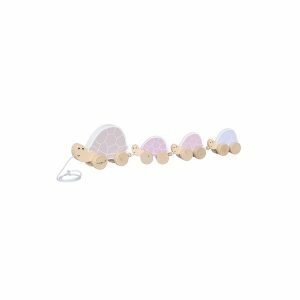 There will be smiles and giggles galore as they roam the house with this cute train of turtles behind them. 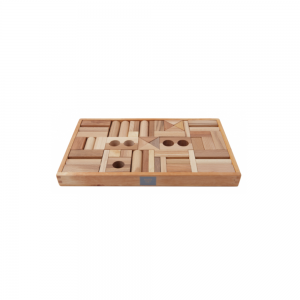 Made from MDF (medium-density fibreboard), this wooden Bloomingville Pull Along has been crafted with love and is designed to last. The appearance of this pull along turtle family is also seriously cute. Designed in Denmark, these beautiful little creatures boast a stunning and timeless design that is complemented with a charming rose (soft pink) and natural wood colour palette. This wonderful train of turtles measures 53cm x 15cm x 6cm. The Ooh Noo Toy Chest combines a fun toy and storage in one. Whether it’s filled with plush toys, building blocks or even bedtime books, your little one is sure to love pulling this wheeled wagon behind them as they go. This toy chest with wheels is made to last using wood and features a stylishly minimal design. 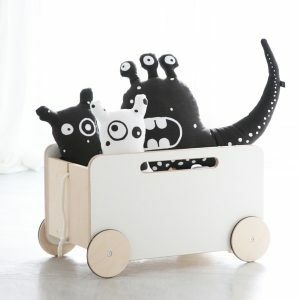 Like all products from European brand Ooh Noo, this wonderful wagon is hand-made with a high-quality construction. 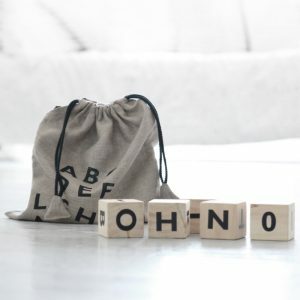 As well as featuring a storage bin, which measures 35cm x 48cm x 37cm, the Ooh Noo Toy Chest also boasts a handy rope for your toddler or child to hold.